A1 Outdoor Storage offers conveniently located outdoor boat storage for your boat and watercraft needs - both commercial and personal. 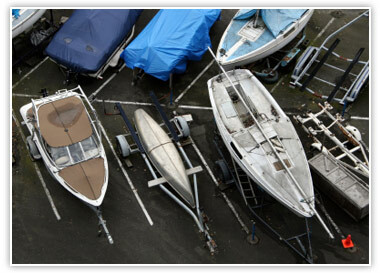 Our month-to-month rates and flexible outdoor storage spaces make it possible for you to store your boat, dingy, and trailer all in one secure location. Our well-lit, gated and fenced facility will give you peace of mind. Conveniently located and serving Coconut Creek, Cooper City, Coral Springs, Dania Beach, Davie, Deerfield Beach, Fort Lauderdale, Hallandale Beach, Hillsboro Beach, Hollywood, Lauderdale-By-The-Sea, Lauderhill, Lauderdale Lakes, Lighthouse Point, Margate, Miramar, North Lauderdale, Oakland Park, Parkland, Pembroke Park, Pembroke Pines, Plantation, Pompano Beach, Sea Ranch Lakes, Southwest Ranches, Sunrise, Tamarac, Weston, West Park, Wilton Manors and all of South Florida, near I-95, Turnpike & Sawgrass Expressway. FREE ICE to all of our boat tenants. * Call for details.